Located on the North West edge of Valentine. In 1891 a cemetery was started in the south portion of the school section by Rev. Sam Holsclaw, a pioneer preacher and homesteader here. The first burial in the new cemetery was of Mr. Holsclaw's son, Arthur Holsclaw, who died by his own hand. 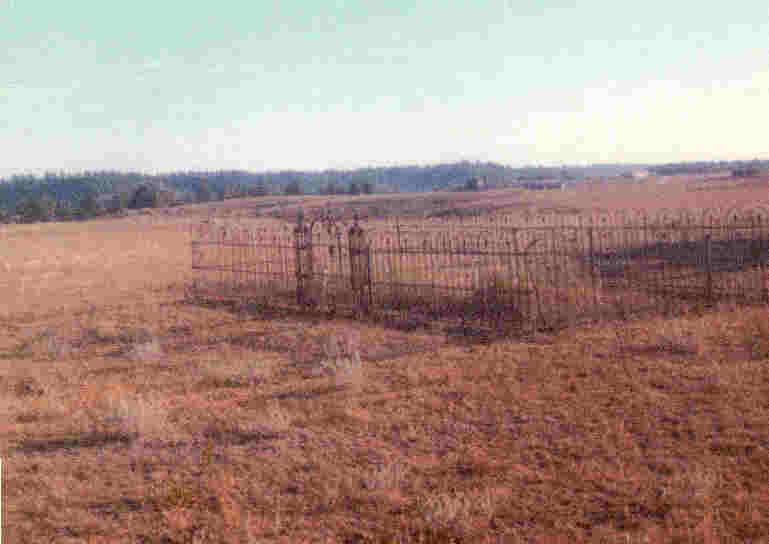 This cemetery was in use until A. E. Thacher, in 1902, had a cemetery platted on his land southeast of town and deeded the first lot to the Donoher's. One Peter Nolan was probably one of the first buried here. Just before his death, Mr. Thacher, deeded the land to his faithful attendent, Irwin (Windy) Emery, who held it many years until his death. It later passed into the hands of the city. This new cemetery became the Mennechaduza or Boothill Cemetery. Many bodies were moved from the Holsclaw cemetery to the new Mennechaduza cemetery. Holsclaw, Dr. Charles ? ? There is no further data. We apologize for any errors in reading or transcribing of information. For corrections, please contact the Cherry County Coordinator.